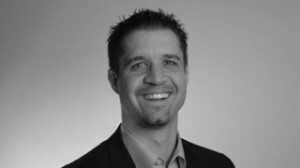 Mischa Ramseyer is founder of and an independent Agile Coach & Trainer at pragmatic solutions llc. He has collected over 15 years experience in building large scaled and complex software systems. In the last couple of years he has been guiding companies through agile transformations towards pragmatic organisations. As a result, such pragmatic organisations nurture continuous innovation and focus on delighting their clients with the right product and the best price/performance ratio. Mischa’s area of expertise are: Management 3.0, Agile Leadership Practices and Continuous Innovation, Agile Product Development with Scrum & Kanban. He truly believes that Agile Values & Principles can turn our work into something more inspiring. Therefore he actively contributes to the Lean, Agile & Scrum Community in Switzerland with more than 1000 participants per year at over 30 events in 5 cities.